Pawsitive Purfection is now offering dog training in collaboration with me and my business, Educanine Training Services. 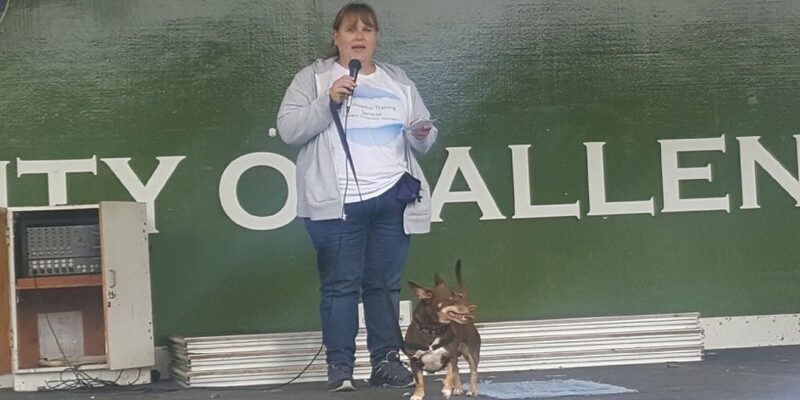 I wanted to take the time to talk about who I am and what my methods for dog training are. My name is Kailly and I’ve been a dog trainer for five years. I started this journey into positive training after I adopted a 9 week old boxer mix, Ludo. When I adopted Ludo I had no idea where life would take me. Ludo seemed like a normal puppy and it was love at first sight for me. I followed the “normal” conventions for having a puppy. I didn’t take him out in public until he was 4-5 months old and was up to date on all of his shots. Unfortunately when I finally did take him out, to the dog park, he was attacked by another dog. This caused his behavior to do a complete 180 and set me up to start learning a great deal about how to handle a reactive dog. It turns out you can start training your puppy as soon as you get them! Who knew? In training classes Ludo was scared, overstimulated and hard to refocus. I had to become very attentive to his body language so that I could anticipate his reactions and try to counter condition them. I won’t lie, I left the classes crying from the stress it caused me. But I didn’t give up on him. I wouldn’t. So we practiced and we worked and we managed. And Ludo flourished in his ability to learn. He is the smartest dog I have ever owned and while it was very taxing to manage his behavior, it was amazing to see how quickly he caught on to things I was asking of him and how focused he could be on his training tasks. I was hooked. I started to love thinking about what I could ask him to do, what he was capable of and watching him try to figure things out. Because of the skills and timing I learned managing Ludo through his reactivity I was asked if I’d like to participate in an apprenticeship with the dog training studio where we trained. From there I applied to the Karen Pryor Academy and was accepted to their Dog Trainer Professional program. I graduated in 2016. At the beginning of this year I opened Educanine Training Services with the goal of imparting what I’ve learned and the joy that dog training gives to me onto others. I understand that having a new dog, whether they are a puppy or an adolescent or an older rescue, and trying to train them can be very frustrating. 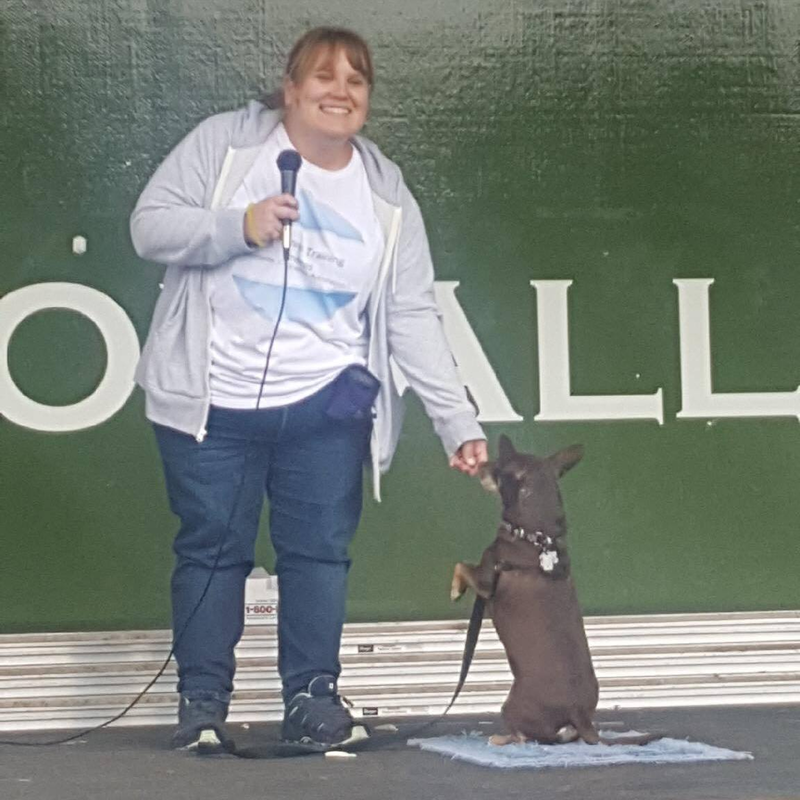 I also understand the value training has for not only improving your daily life with your pet but also creating an incredible bond between you and our dog. It truly is a way to create a line of communication with your dog that is incredible. What is my Training Style? There are a lot of different terms used for dog training styles. Mainly we hear “traditional,” “balanced,” and “rewards based,” in conversation and when searching for trainers near us. I use neither “traditional,” meaning there is a use of force and punishment, nor “balanced,” meaning both punishments and rewards are used. What I do is called Clicker Training. This clear form of communication, combined with positive reinforcement, is an effective, safe, and humane way to teach any animal any behavior that it is physically and mentally capable of doing. Clicker training is a style of positive reinforcement training that uses a marker, clicker, to indicate to your dog that they have done something correctly and that they will be receiving their much anticipated reward. Some people use a tool, called a clicker that is made of plastic and metal and when you push the button, makes a sound. Some people use a whistle or a certain word for marker training as well. If you’d like to try this method of training and think it’s right for you and your dog, please contact us now. I would be happy to further discuss the benefits of clicker training with you and how we can use this method to improve your dog’s behavior. For more information you can visit my website at www.educaninetrainingservices.com, call me at 484-602-4054 or email me at kailly@educaninetrainingservices.com. ← Where can I take my dog to the beach?